I think Image was robbed. I don't think so. Image was largely unreadable during the time period that would qualify for the Board. If we were to continue to the present, however, It would likely have made my list. Image is putting out most of the books I'm interested in at the moment. I wasn't aware that any of their output from 2006 to the present was disqualified. I suspect if we did this poll on CBR, IMage would win running away, with Dark Horse 2nd. Like Slam said, the average age (and perspective) of people here lend itself to the 70s and 80s publishers. Plus, Shax did specify 'before 2005'. If the poll was what's the best non-big two publisher NOW, Image again would win hands down. Edit: I see Slam sniped me . I would argue Image had SOME good stuff before 2005 (Stormwatch, Supreme, etc. ), but not nearly as much as now. And they're still comics we frequently talk about, so even though First ended its publication in the early '90s, they still have a pretty large place in the conversation about classic comics (or comics in general, for that matter). I, for one, would disagree there. While Image is better than Marvel and DC now, I'd still vote for Dark Horse over Image. Same here. 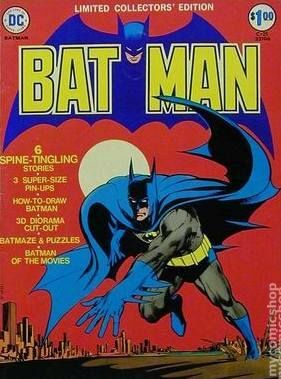 But probably most of us here grew up reading comics in the 60's-80's. Agreed. Image is great now, but ten years ago I'd say Dark Horse was better. Dark Horse still maintains a high level of quality today, and has become the preferred home of some former Fantagraphics stars like Peter Bagge, Gilbert Hernandez, and Stan Sakai, as well as Sergio Aragones, but Image has grown into a powerhouse of successful and innovative creator owned series that is hard to compete with when judging as a whole.